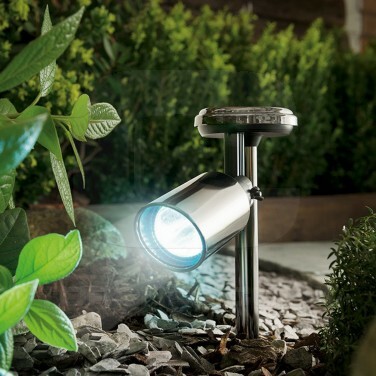 Sleek and stylish, this solar garden spotlight is made from black nickel for a modern look in your garden. Lit by two bright white LEDs, this solar spotlight can be staked to highlight features, borders and pathways. With no wiring required, simply stake in your garden, allow to charge throughout the day and it'll detect darkness to automatically switch on at night.